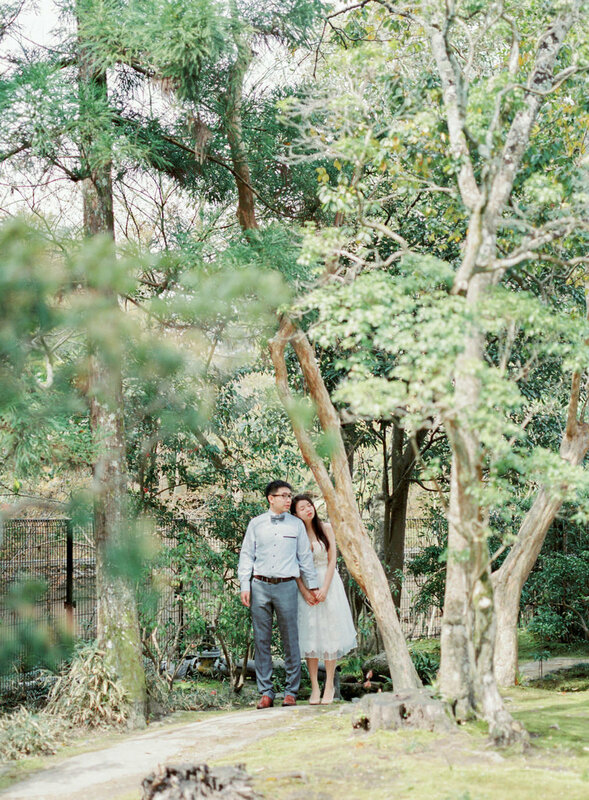 Yiting and Chen are greatly influenced by Japanese culture and nature. 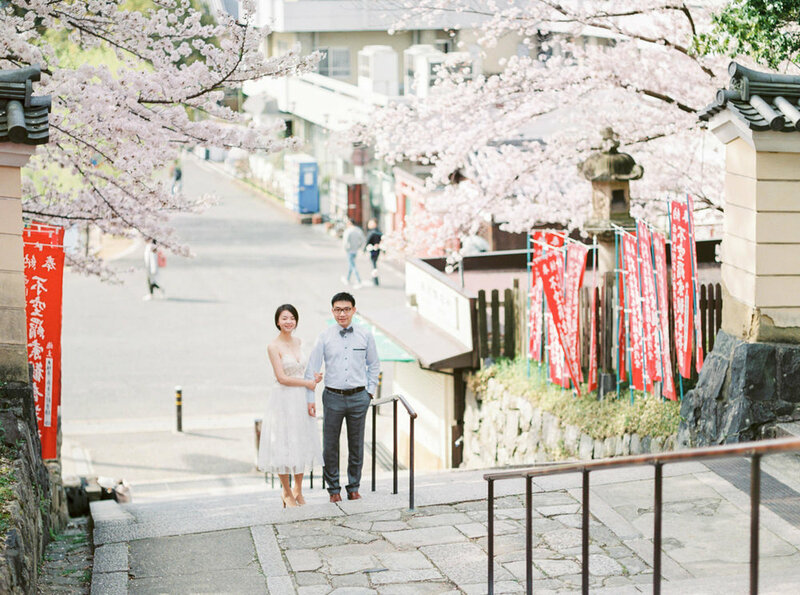 They got in touch with me after seeing my upcoming trip announcement to Japan, and together we decided to take their engagement photos in one of the most preserved and stunning cities, Nara. 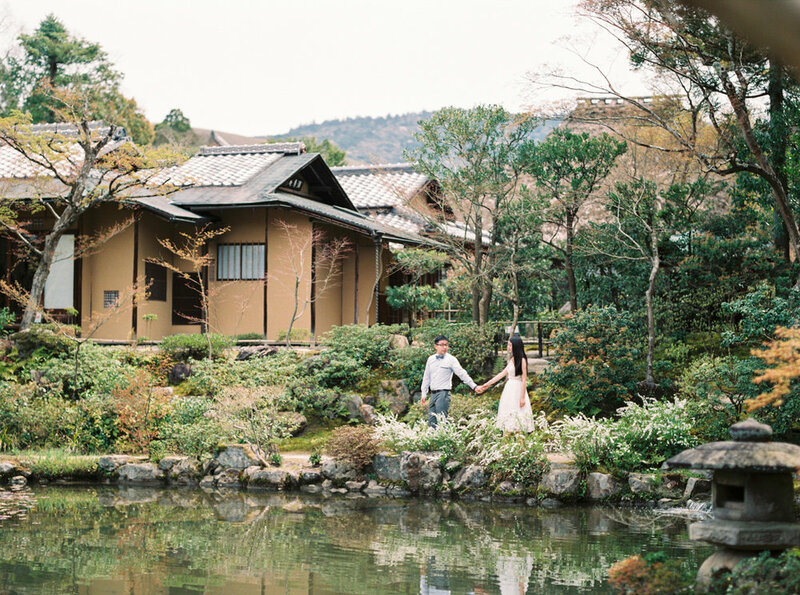 The bride is fascinated with its historic gardens and temples, and of course the cutest deer hanging on the streets of Nara. We spent the morning wandering around the traditional district as well as a quiet and peaceful Buddhist garden formed with elements of “zen”. It was early April, so every corner was covered with sakura / cherry blossom. In the afternoon, the couple changed into kimonos at rental shop MIYABI. 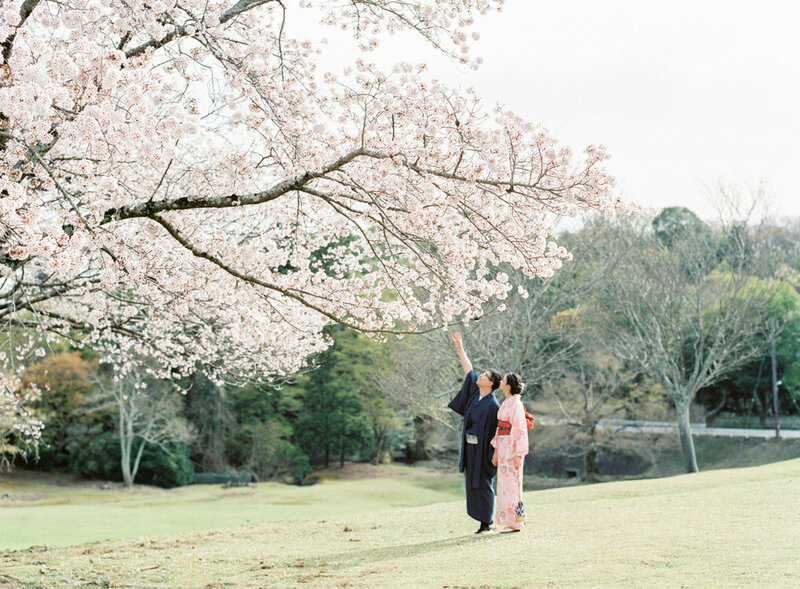 We took a small trip to the park of Nara, where cherry blossom trees are the fullest and prettiest. The day ended at a hidden shrine which dedicated in blessing for relationships and marriage. The perfect way to end an engagement session!